Although students can take music classes at this location, SwarGanga also conducts classes over the internet for those who cannot make it to our school. We are aware that many websites conduct music lessons over the internet, however being with SwarGanga you will not only have access to our infinite resources on Indian Classical Music but also access to many popular gurus. At SwarGanga School of Music, you not only learn music but also learn to appreciate the nuances in music. We have 1 student receital every quarter where each student gets to perform with a live tabla and harmonium player. This brings out the performer in our students and gives them a change to practice. We have guests gurus who guide students on performance, educate them on music theory etc. At SwarGanga School of Music your experience will be musically rewarding. If you wish to be a part of the school and learn north Indian classical music, please contact us and enquire about our class schedule. Adwait Joshi runs the Atlanta school of music and has been active in this field for the past several years. Adwait started his classical music journey by learning tabla when he was six years old. He took his intial tabla training from Mr. Tambe and later from Mr. Kane. After learning tabla for 7 years Adwait started taking training in Indian Classical Vocal. Early on Adwait learned from many teachers including his aunt Smt. Anita Kulkarni, Smt. Mita Kundi. For the past few years he has been taking advanced classical vocal training from Shri. Pritam Bhattacharjee of the Pandit Jasraj School of Music foundation who himself is a disciple of Pandit Jasraj. Along with vocal and tabla Adwait can also play harmonium extremely well. Adwait is a founder of the SwarGanga intiative and runs this organization in two countries. Adwait has always believed in imparting the right education to students and that too in a systematic and structured way. This is the reason why SwarGanga School of Music was started. Mayur Mahajan is a disciple of Shri. Mohan Darekar. 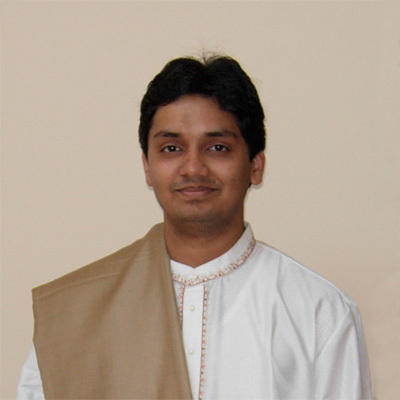 He has completed his sangeet visharad from Gandharva Mahavidyalay and is BA in Music from University of Pune. He has won many scholarships and awards namely Sawai Gandharva Scholarship, Maharashtra Cultural Center Scholarship, Narayanrao Vyas Puraskar etc. He has given many performances all over maharashtra. Anuradha Kuber is a promising vocalist of the young generation. She is one of the very few performers of the "Bhendi Bazar Gharana" gayaki. Anuradha started learning music since a very young age. She was trained in the gharana gayaki for 15 years by the veteran musician and guru Late PT. T. D. Janorikar. During the training period she learnt all the facets of the gayaki from her guru. A two years stay at the Aangeet Research Academy, Kolkata with her guruji was the highlight of her training phase. It added a different perspective to her musical thought process. Currently she is receiving training from the veteran harmonium maestro and musicologist Dr. Arawind Thatte. She is endowed with a rich and mellifluous voice which makes her adept at singing both light and classical music with equal ease. Her sweet, seasoned and pliable voice with easy reach in all the three saptaks makes her disciplined exposition of the Raags full of aesthetic and emotive content. Anuradha is a very competent light music singer. 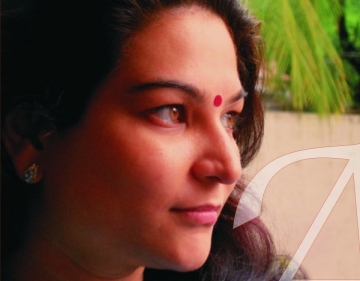 She is an 'A' Grade artist of All India Radio and has performed in many prestigious Marathi light musicconcerts. She has been associated with veterans like Shree. Gajananrao Vatve, Smt. Anuradha Marathe and Shree. 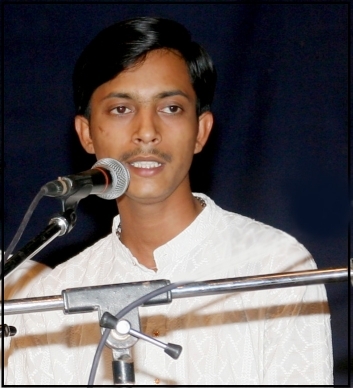 Rahul Ghorpade. She recently performed in two television programmes on E TV Marathi 'Suvarna Prabhat' and 'Garaje Krishna Teer'. Born in the family that is adorned with the rich heritage of Sur, Laya, Taal over four generations, Apoorva Gokhale inherits melody, harmony and rhythm from her grandfather Late Pandit Gajananbuwa Joshi and her great-grandfather Late Pandit Antubuwa Joshi, who himself was an eminent Darbar gayak. Her formal education started at an early age of 5 years under the tutelage of Late Pandit Gajananbuwa Joshi, who was a vocalist and violinist, reputed for his versatility and making a superb blend of three gharanas namely Gwalior, Jaipur and Agra in his gayaki. After his sad demise, she continued her further education under the supervision of her uncle Pandit Madhukar Joshi, who too is a well-known vocalist and violinist and Pandit Ulhas Kashalkar. She also received training from her father Shri Manohar Joshi. While taking lessons from these gurus she perfected her basics in Sur, Laya and Taal. Apoorva, who has a bachelor's degree from the University of Mumbai, completed Visharad from Gandharva Mahavidyalaya under the guidance of her aunt Dr. (Smt) Sucheta Bidkar. Currently she is seeking special guidance from Pandit Shankar Abhyankar, the eminent sitarist and rachanakar and also from Smt. Manik Bhide and Smt. Ashwini Bhide. She has been awarded with the Acharya S N Ratanjankar Foundation Trust's scholarship and Pandit K G Ginde puraskar for two years. 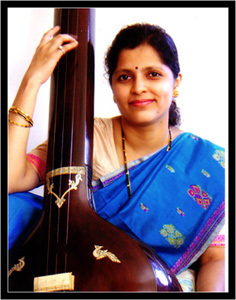 Apoorva has performed in many prestigious concerts in Mumbai, Pune, Thane, Bangalore, Aundh, Karad, Ichalkaranji etc. She has also been honoured as "Surmani" by Sur Singar Samsad. Anagha Pendse a resident of Thane started learning music from the age of five. She recieved classical music training from Pt Madhusudan Patwardhan, Smt. Sangeeta Mate and Shri. Yashwant Vaidya. She has also received light music training from Smt. Anuradha Marathe, Shri. Gajanan Watve, Shri. Yashwant Deo, Smt. 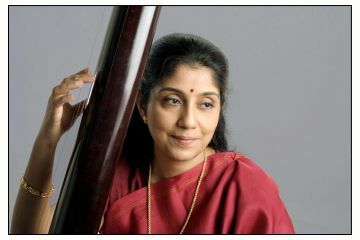 Padmaja Phenani. Anagha has appeared on various television channels including Zee Marathi, E TV Marathi, Sahyadri Vahini etc in different music programs such as Shabdancha Palikadale, Geet Ramayan, Jeevan Gaane, Soor Taal etc. In 1994 she appreated in TVS Sa Re Ga Ma Pa and has been running her music academy since. 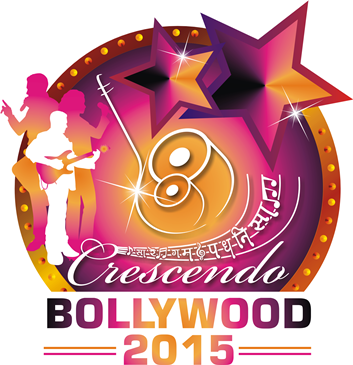 She has various successful concerts all over India and recently visited Dubai for her first international concert. Sounak Chatterjee When he was only two or three years old, the meditative notes of Indian classical music and Rabindrasangeet (Songs of Rabindranath Tagore) would caress his sensitive mind and lull him to a slumber. His parents were among the many truly culturally enlightened and educated Bengali families who indulged in fine arts and considered it a priority to inculcate fine qualities in their child right from the beginning. He had a tuneful voice as many have and learnt his first alphabets in Hindustani music from Smt. Leena Chakravarty when only six years old. At eight he was taken over by the Maestro of Kirana Gharana Ustad Mashkoor Ali Khansahab and his younger brother Ustad Mubarak Ali Khansahab. The Ustads made him their disciple by performing the ceremonial 'Shahgirdi', (spiritual initiation) when Sounak was twelve. Today still under their able wings, Sounak is one of their senior most disciples and also one of the most successful though still quite young. With a Master degree in English literature and a veritable repertoire of Ragas, Bandishes and Rabindrasangeet, Sounak has today established himself as one of the most promising and significant artists of his generation. Going beyond stereotypical stage performances, he has emerged as an ideator and director of unique stage presentations involving different forms of music, literature and even films and dances occasionally. Sounak topped numerous competitions like - Best vocalist in Dover Lane Music conference Talent search. National scholarship in the field of Hindustani classical music by Ministry of Tourism and Culture Govt. of India, Kal Ke Kalakar Mumbai, He regularly performs Khayal at various concerts all over India and has also performed in the UK and the US, including the NABC (Bongo Sanskriti Sammelan 2009 in San Francisco) and Regional Bengali Conference 2010 in Nashville where he was greeted with a standing ovasion. 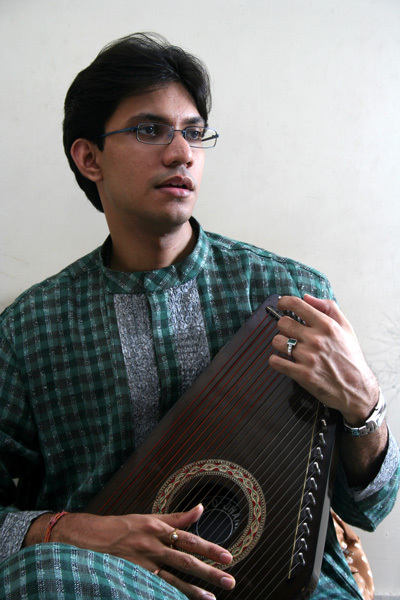 Chaitanya Kunte is a well known harmonium soloist, accompanist and a composer. He is a disciple of Dr. Arawind Thatte and has also received guidance from Pt. Mohanrao Karve	for Hindustani Vocal music. He is one of the leading young artistes and has accompanied maestros such as Pt. Bhimsen Joshi, Pt. Ulhas Kashalkar, Pt Dinkar Kaikini, Ustad Rashid Khan, Pt. Birju Maharaj, Smt. VAsundhara Komkali, Padma Talwalkar, Shruti Sadolikar, Veena Sahasrabuddhe, Dr. Ashwini Bhide, Aarti Ankalikar and many others. Chaitanya also is a well appreciated composer. His compositions cover a wide range of genre such as Khayal, Tappa, Tarana, Chataranga, Sadra, Saragam-geet, Thumari, Dadra, Bhajan etc. and a variety of Raags and Taals. He has composed music for Kathak dance and choreographies such as 'Amoorta', 'Rituchakra' etc. He also has scored music for several musicals for AIR, including 'Geet Govindam' of Jayadev, 'Meghadootam' of Kalidas, Sanskrit stotras of Shankaracharya, Vallabhacharya and Ramanujacharya and 'Upanishadannche Antaranga'. He has presented many theme concerts, such as 'Megha- Rang', 'Basant-Rang', 'Nayikaa-Bhaav-Tarang', 'Bhairavi-Darshan', 'Saaj Thumaricha' etc. Pursuing his academics with a serious and disciplined study of his passion - music, Sri Mohan Pendse a M.A. (History) graduate, is an Indian Classical Violinist of repute. Born into a musical family and being blessed with gurus like Sri Subramanium Iyer, Pt. R.G.Jog, Pt. Ram Marathe, Pt..D.H. Jogalekar and Pt. Y.T.Vaidya under whom he is still undergoing training, Mohan Pendse successfully completed his Sangeet Visharad from the Gandharva Vidyalaya in Indian Classical Violin and was awarded the Sur Mani title by the Sur Singar Samsad (Mumbai) for his excellent performance. He is also a graded AIR artist. With music on his fingertips literally, this versatile artiste is equally proficient in playing the sarod, santoor, jaltarang, guitar, mandolin, harmonium, keyboard and tabla. He has performed and regaled audiences all over India and abroad. He has the distinction of having performed at prestigious Sangeet Sammelans like Swami Haridas Sangeet Sammelan, Kal-ke Kalakar Sangeet Sammelan, Yuva Sangeet Mahotsav, Allauddin khan sangeet Samaroha to name a few. The urge in him to pass on to the next generation the knowledge passed on to him, Mohan Pendse joined SanskritiAcademy of Fien Arts, Thane as Faculty head, Keyboard. Sensing a keen interest by very many students, in later years he also started imparting training in guitar, mandolin, violin and harmonium. 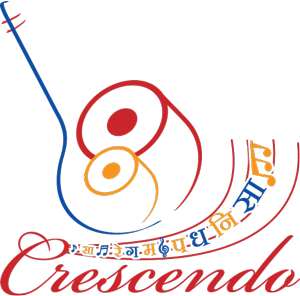 Other than at Sanskriti, he also imparts traing at Pendse Music Academy in these same faculties.